Here is a list of the fairs and markets I will participate in during the fall and holiday season. 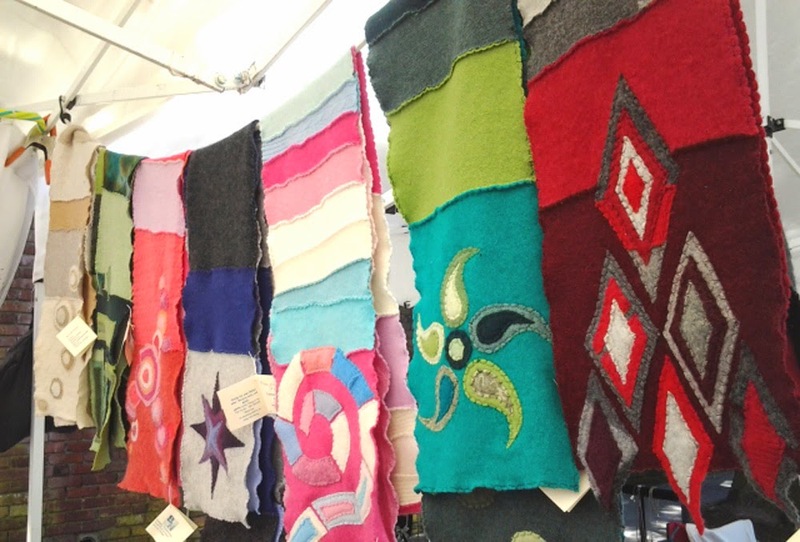 November 1-2: Fiber Festival of New England at the Big E. Saturday from 9-5, Sunday from 9-3. November 15-16: Holiday Craft Festival and Marketplace to Benefit MATH at St. Peter Claver Church, 47 Pleasant St., West Harford, CT. Saturday from 10-4:30, Sunday from 9-3. November 22: Waterbury Holiday Artisans Market at Waterbury City Hall, from 10-6. November 23: Holiday Market at Housatonic Valley Waldorf School, 40 Dodgingtown Rd, Newtown, from 10-4. December 4: Killam and Bassette Vendor Open House at 77 Tryon St. South Glastonbury, from 5-8 pm. December 5-6: Old St. Andrew's Holiday Bazaar at 59 Tarriffville Ave., Bloomfield. Friday from 12-8 pm, Saturday from 9-4. December 14: Market Days at Hartford Stage (while the Nutcracker is running) from 12:30-4.